Born on April 14, 1945, Richard Hugh Blackmore became one of the most influential guitarist & songwriter in classic rock music history. Born in Somerset, England and eventually growing up in Middlesex, Richie was best known for his work with the band Deep Purple which Blackmore joined in 1968. 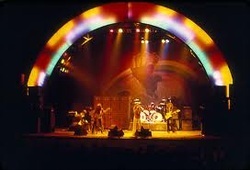 After Deep Purple disbanded Mr. Blackmore created & fronted his band Rainbow. Currently Blackmore is dabbling in his new folk project with his wife called Blackmore's Night. Blackmore's guitar picks are unique in that even 'fake' picks of his are frequently collected and valued by many.